The Avengers: Age of Ultron trailer was pretty fantastic. Although it was light on witty dialogue and Marvel’s trademark humor, the film looks decidedly moody, and I think it’s safe to say the second film will definitely be a lot darker than the first. I mean, how spooky was that “I’ve Got No Strings” cover? Pretty eerie, and obviously meant for thematic effect. Ultron definitely seems pretty intent on telling the Avengers he is more than capable of existing without the influence of outside forces, or strings, telling him what to do. “You’re all puppets, tangled in strings,” Ultron says to a dejected and astonished Avengers crew. The trailer is actually filled with a lot of information about Avengers: Age of Ultron, including the cast of characters, plot clues and even a few secrets. If you don’t want to know anything going into the second movie, you should probably stop reading now. But if you want to know more about Marvel and the Age of Ultron story arc, we’re here to break the trailer down. What’s the Age of Ultron? Age of Ultron is a crossover 10-issue storyline that saw Ultron, an artificial intelligence designed to protect mankind, attempt to conquer Earth. 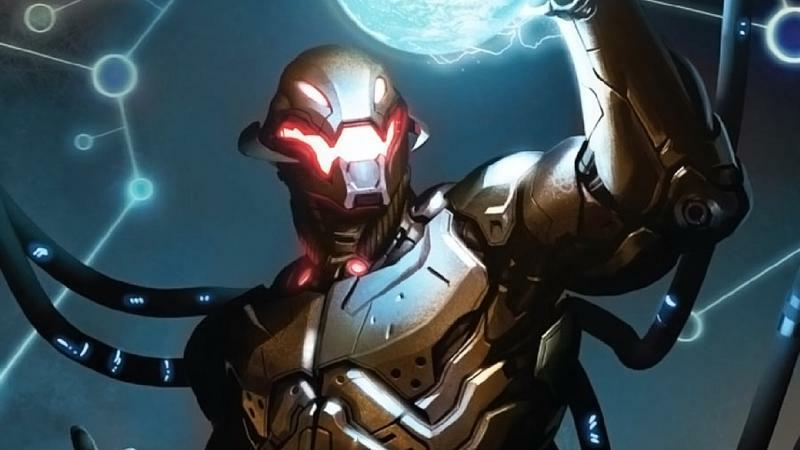 In the comics, Ultron is originally created by Hank Pym, otherwise known as Ant-Man, but in the new film, he is created by Tony Stark, and is even infused with some of Stark’s personality traits. Eventually, he becomes overwhelmed by a god complex, and decides that the only way to bring peace to Earth is by wiping out humanity entirely. The other robots (Ultron Sentinels) that appear in the trailer were built by Ultron as his army, and they definitely don’t look friendly, do they? Ultron himself is being voiced by James Spader, and he sounds so amazingly menacing—calm, but captivating and intense. In the trailer, it’s obvious that Ultron has very human traits (harkening back to the No Strings theme), which are manifested as a very evil dude; as some have pointed out, Ultron’s “no strings” could also refer to him “vibraniumizing” himself, which essentially makes him indestructible. Joss Whedon, the film’s director, has said he wanted Ultron to feel like a human character, and we get glimpses of that side of him in what he says and even how he moves (did you see his “facial” expressions?). “I’m going to show you something beautiful,” Ultron says. “Everyone screaming for mercy.” The trailer then cuts to images of explosions and people screaming. In the trailer, Ultron tries to justify his actions by saying the only way to protect the world is to change it. That’s why he intends on wiping out the humans. The Avengers will have none of that. However, they look defeated and afraid in the shots we see, which suggests the team is in for an incredibly tough fight. We’ve known Wanda Maximoff/Scarlett Witch (Elizabeth Olsen) and Pietro Maximoff/Quicksilver (Aaron Taylor-Johnson) would be in Avengers:Age of Ultron—we previously saw the twins at the end of Captain America: The Winter Solder—and the trailers gave us our first extended look at the two. In the comics, we know that both eventually join up with the Avengers team, but it sure doesn’t look like it started off that way. There’s one shot in particular where we see the two hanging out with Ultron, though we don’t really know the context behind it. Interestingly, we actually get a look at the twins at a point in time before they had powers (Pietro doesn’t have silver hair; they can be seen protesting (we assume) at some big event; maybe at an anti-super hero rally?). We possibly get some more background on the two characters before they gain their powers, too, or at least when experiments were being done on them; we visit a humongous factory and get brief glimpses of medical tools and hospital beds. That could be where the twins were being experimented on by Baron Wolfgang von Strucker. In Avengers: Age of Ultron, Scarlet Witch will be capable of harnessing magic, and can even engage in hypnosis and telekinesis. Elizabeth Olsen (who also appeared in the recent Godzilla reboot) explained her interpretation of Scarlett Witch, saying she’s tormented by her abilities, and initially doesn’t know how to control them. One shot in particular shows Olsen screaming in anguish/anger/fear, but it’s unclear about what. Later in the trailer, we see her using one of her powers against an enemy off-screen. Quicksilver, meanwhile (not to be confused with the Quicksilver that showed up in X-Men: Days of Future Past), is a character in the movie that has been described as someone who really relies on his sister for guidance in Avengers: Age of Ultron. Marvel Studios head Kevin Feige explained that the movie will focus on his relationship with his sister, Wanda, and how that shifts over the course of the movie. One glimpse of the trailer shows Quicksilver fighting alongside Captain America (or is he fighting against? ), so looks like he and Scarlett Witch definitely change their attitude toward the Avengers as the film goes on. Everyone was wondering when we’d see Iron Man’s Hulkbuster armor, and we finally got to see it in all of its glory. It looks absolutely amazing, too; big, powerful and badass. Tony Stark has created a lot of iterations of his suit, and Hulkbuster was made specifically for hand-to-hand combat with the rampaging Hulk. We don’t know why they’re fighting, but it seems a lot of the anger building inside Dr. Bruce Banner finally boiled over; people are speculating Hulk may be under some Hydra mind-control substance, which sets him off. Of Banner’s relationship with Hulk, actor Mark Ruffalo said, “Hulk is as afraid of Banner as Banner is afraid of Hulk,” so I expect that plays a big part in the next film. Early on in the trailer, we see a pretty dejected Banner sitting among his Avengers crew; he’s front and center, looking terrified. Nobody looks at him, and the emotional tension is made even greater as the camera tightens in closer to Banner, who looks completely freaked out by something, but what? He must have done something very, very bad, which is why the Hulkbuster armor was needed in the first place. We have no clue what he did, but he’s fighting against his teammates once again, which is never good for moral. The trailer does hint (at the 1:35 mark) that Hulk does eventually calm down after having a moment with Black Widow, though has some kind of irreversible damage already been done? Perhaps a future trailer will show us more Hulk footage, though it’s clear Banner’s inner demons are still torturing him as he struggles to find peace with his situation. Bonus: Is That Ulysses Klaw? 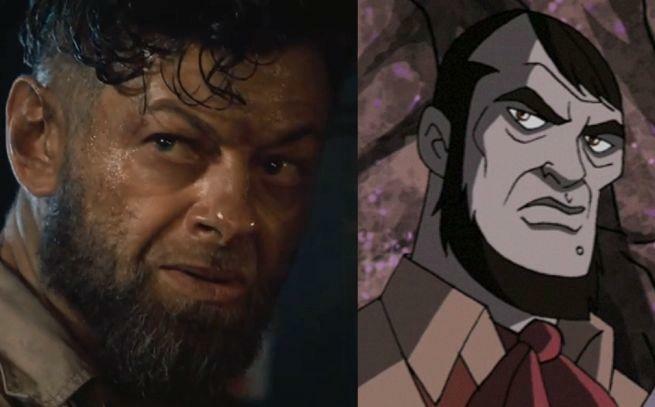 The shot is quick, but it’s clear Andy Serkis’s character is meant to resemble Ulysses Klaw, who has deep ties to the vibranium material that Ultron reportedly coats himself in (and his Sentinel army). In the Marvel universe, the only country with enough vibranium is Wakanda (possibly where a lot of the action takes place); Wakanda just so happens to be the country Black Panther rules, who is also Klaw’s arch-nemesis. So does this mean we’ll not only see Ulysses Klaw, but Black Panther make appearances? Sure looks like it, though it’s unclear how prominently they’ll feature. There are a lot of other hints throughout the trailer, too. Captain America’s shield gets broken in half, Hawkeye running through the snow, ballerinas, and Thor grabbing Tony Stark by the neck? Yikes. Vision (voiced by Paul Bettany), who doesn’t make an appearance in the trailer, is also expected to make his debut in the film. There’s so, so much to mull over, and probably a lot I didn’t even mention. But it looks like Age of Ultron is going to feature a lot of big layers, and a very menacing performance from Spader as Ultron. May 1, 2015 can’t come soon enough.